According to Insurance Journal, Investigation Solutions, Inc. reported the fraud in 2011 and helped in the investigation. Ronald Scott Dee, owner of Venetian Stoneworks, and Pamela Palmer Quast, the company’s bookkeeper, were charged with 6 felony counts of misrepresenting facts to their workers’ comp insurer as well as 28 felony counts of failing to file a tax return, 28 felony counts of failure to pay taxes, and 24 felony counts of failure to pay insurance deductions. The fraud came to light when Dee called his insurance company’s claims administrator claiming concern about insurance fraud by an employee who was hurt on the job. The investigation eventually found the company did not have workers’ compensation insurance for three years and reported it had no employees during that time. Evidence also suggested that Venetian Stoneworks underreported payroll, misclassified its employees, and failed to report injury claims. Workers compensation insurance fraud may be committed by employees as well as employers. Workers’ compensation insurance premium fraud occurs when an employer underreports payroll, misclassifies employees, or when a company closes and attempts to open as a new company on paper for lower premiums. The owner of Venetian Stoneworks has been accused of failing to report their full staff to their insurance provider and misclassifying employees (such as classifying a high-risk construction worker as a worker with clerical duties) to pay lower premiums. According to the National Insurance Crime Bureau (NICB), workers’ compensation fraud costs California between $1 billion and $3 billion per year. Along with increasing costs for employers, fraud means additional scrutiny for employees who file a claim for a work-related injury. Unfortunately, the focus on fraud has also led to a myth that most workers’ compensation claims are false, despite studies showing just 1-2% of employee claims are fraudulent. 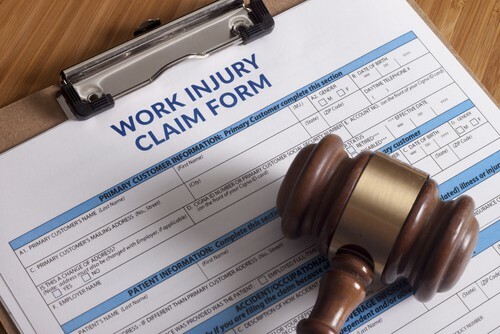 If you were hurt in a work-related injury and your claim has been denied, it may be that the insurance company suspects fraud due to circumstances out of your control, such as a lack of witnesses to your injury. A workers’ compensation attorney can help you protect your rights and appeal your claim to seek the benefits you deserve for your injury. For the best workers Compensation attorney for Riverside Ca, you need to contact Rawa Law Offices today. Click here for more information.